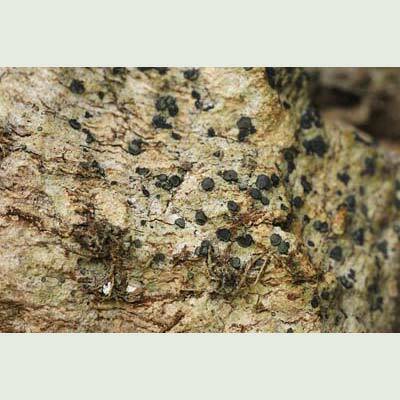 This crustose epiphyte with a thin, grey to greenish thallus studded with hard, black, frosted discs (1-2mm diam.) 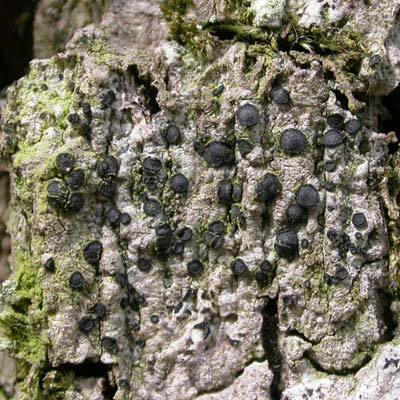 on the bark of old, senescent oaks, is a characteristic species of very old trees in drier areas. It may occasionally spread to acid rock. In Ireland it has its headquarters in the south-east. 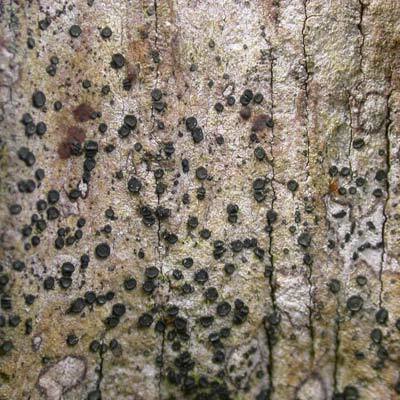 Distinctive lichen preferring the slightly shaded dry side of trees. Often with Schismatomma decolorans. Simms, M. J., (2016). Cresponea premnea (Ach.) Egea & Torrente. [In] LichenIreland.